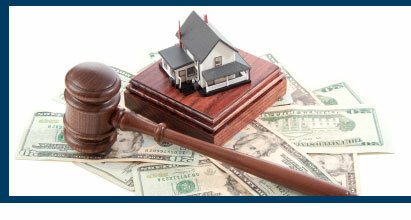 At James Dougherty Appraisers we specialize in doing appraisal work for bankruptcy proceedings. For a chapter 13 bankruptcy case, it is paramount to accurately establish value on any of the real estate assets. Between irresponsible lending practices and the current poor housing market, home owners are often in an under-water position. With our help, you can make a valid determination in regard to the possibility of stripping away any under-water junior liens. Our 25 + years of real estate valuation experience insure that our value conclusions are accurate and well documented. Jim Dougherty holds the Appraisal Institute's SRA designation. We have experience with every type of residential property valuation. Jim Dougherty has successfully testified as an expert in the Eastern District Court and local county courts. We provide pre-trial consultation when needed. Our appraisers always have a professional appearance and are flexible with scheduling appointments. References and a curriculum vitae furnished upon request. We cover the Philadelphia metropolitan area, and Southern and Central New Jersey. © Copyright James Dougherty Appraisers; all rights reserved.